It’s very easy to spot the car owners in a car park that really take care of their car and want to protect it from bumps and scrapes. They will be parked in some deserted corner of the car park like along the back wall, or straddling two spaces, eliminating the possibility of some careless car owner getting in nice and tight beside them. It might seem crazy and over-protective – sure you can’t live your life worried about your car getting scratched? But to these car owners it’s completely rational to do laps of the car park to find the space with the least ‘contact’ potential. I should know I’m one of them! Because of course parking really can be a contact sport. A few knocks from a car door or a runaway trolley impact can leave their mark. 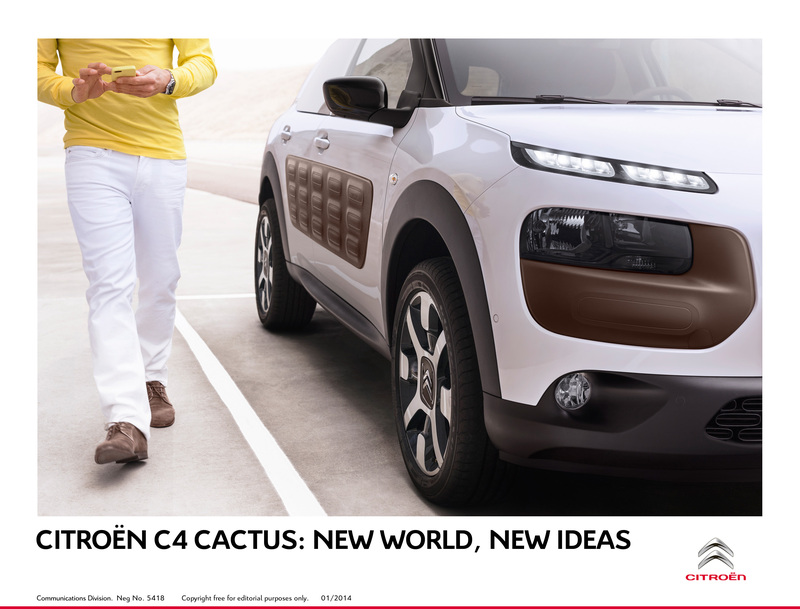 In a genius move, Citroen has equipped their new C4 Cactus with “Airbump” technology in the areas of the car most prone to bumps and scrapes. The air pockets sit under a flexible skin of a rubbery type material and absorb small bumps and provide a bit more resistance to scratches. A cactus survives in a harsh environment like a desert with high temperatures and little moisture. The C4 Cactus is aptly named then – this time surviving the harsh environment of the car park. It’s a bit like bubble wrap – but for cars. What a brilliant idea for a car that’s been built to negotiate the urban jungle and will spend lots of time getting knocked in car parks? The aesthetics of the airbumps suit the character of the C4 Cactus but I doubt BMW will be looking into airbump technology anytime soon to swathe across the side of an M3. For the car proud, we still await some sort of scratch resistant paint and ding repellant bodywork (!). Of course the simplest thing would be if everyone could have a bit more respect for other people’s cars in the car park. Wishful thinking. Sure it’s only a car, why are you worried? What is your strategy in the car park for protecting you car from bumps and scrapes?